Introducing your new favourite mug! 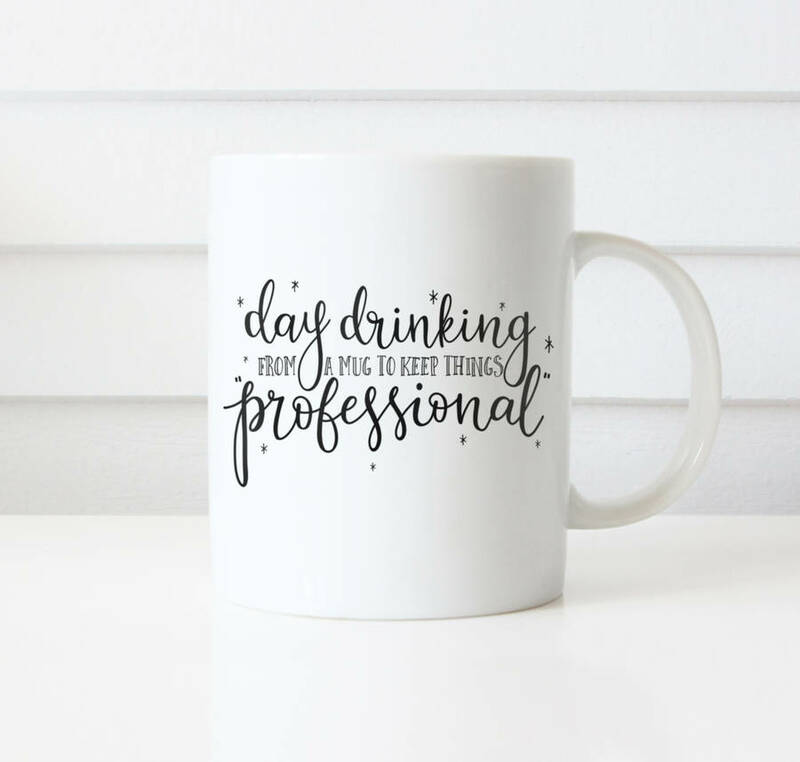 'Day drinking from a mug to keep things professional' typography mug. This hilarious 'Day drinking from a mug to keep things professional' typography statement mug is the perfect gift for wine loving friends and family.